Happy New Year! What a whirlwind these past couple of months have been. We had to take a quick hiatus from blogging to work on a lot of new and exciting projects! We are so excited to share them with you! In the midst of everything, I realized we never got to share the Beaupre kitchen and breakfast nook with you. However, if you follow us on Instagram, we have shared several pictures. 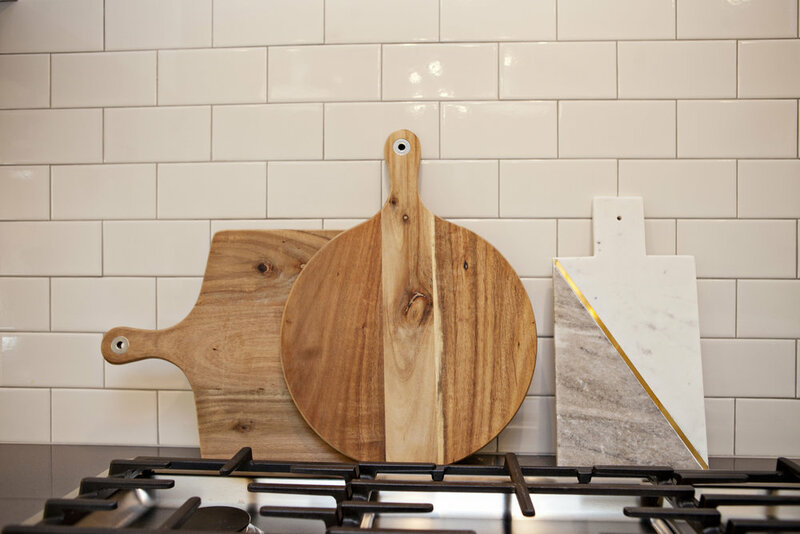 When we first met our clients, they were in the middle of renovating their kitchen, living and breakfast area. 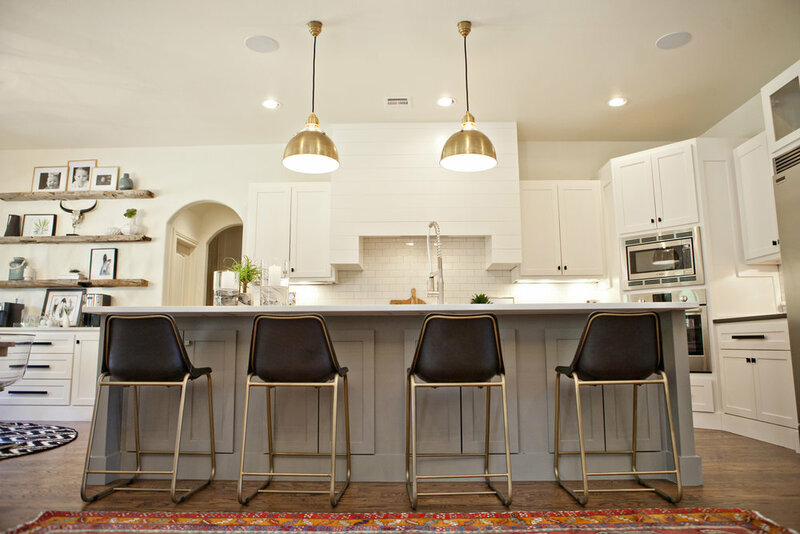 Our clients wanted their home to be removed from the the french country design to a space that had a more updated transitional design with a boho feel. They did a great job with the remodel process and I am so happy we could help finish out their spaces. The overall kitchen was a great space to work with, since the colors were in neutral tones: white and gray. The layout is an open floor plan that opens up to the living room and breakfast nook. I love the white cabinetry and details in the kitchen, but I also love the gray island as well. The island color helps break up the white and adds another dimension in the room. If you want to break up the color in your kitchen, especially if you have a kitchen in a neutral tone, you can add color by painting the island in a different color. 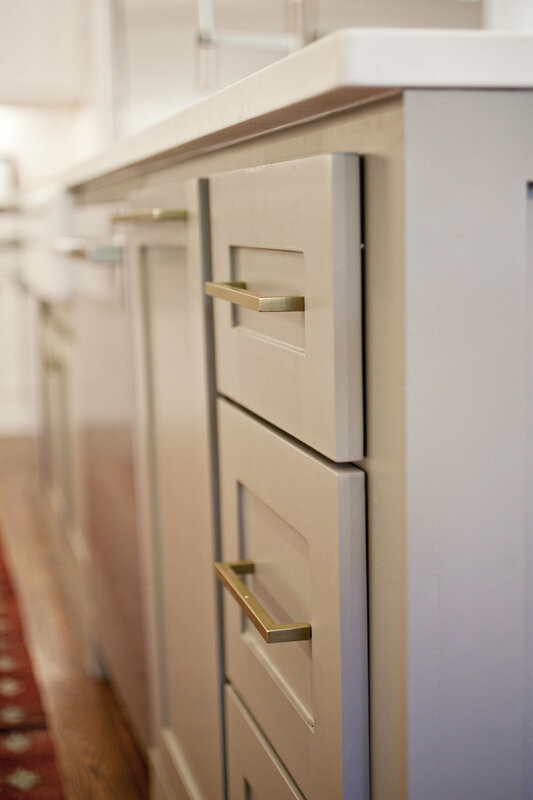 We added brass hardware to the island and matte black hardware for the rest of the kitchen. 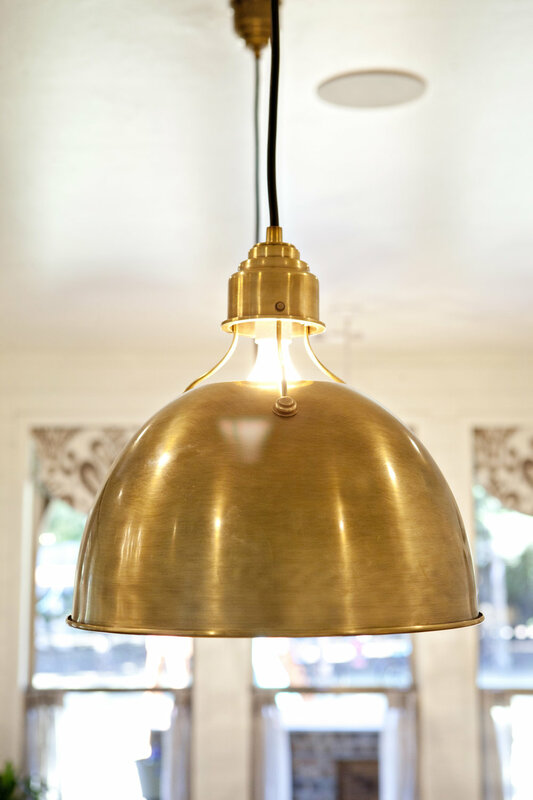 The island is topped off with brass pendants from Visual Comfort and gorgeous black leather counter stools from CB2. 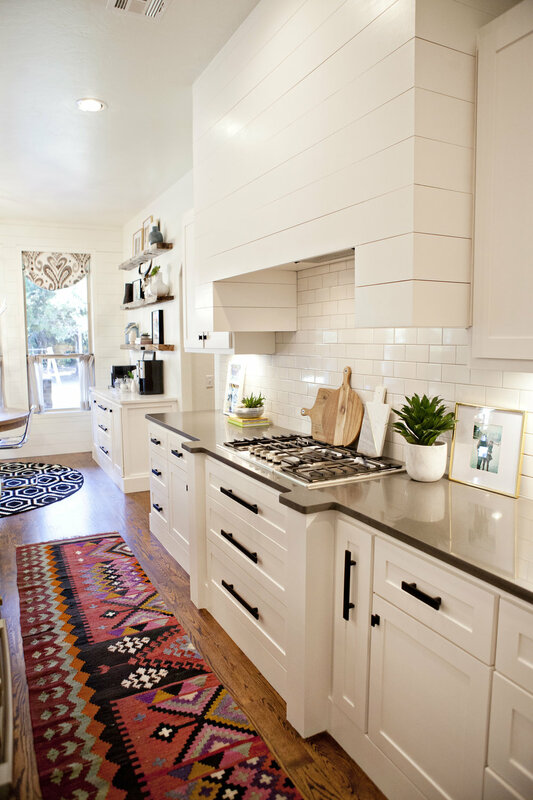 The focal point of the kitchen is the amazing shiplap range hood, accented with white subway tiles and gray quartz countertops. We added a fun vintage rug to bring in additional color and use as a transition piece between the white cabinetry and gray island. Having a neutral color palette in your home, doesn't have to be boring. By adding great light fixtures, colorful accessories and even organic features, such as flowers or plants can bring life to a space. 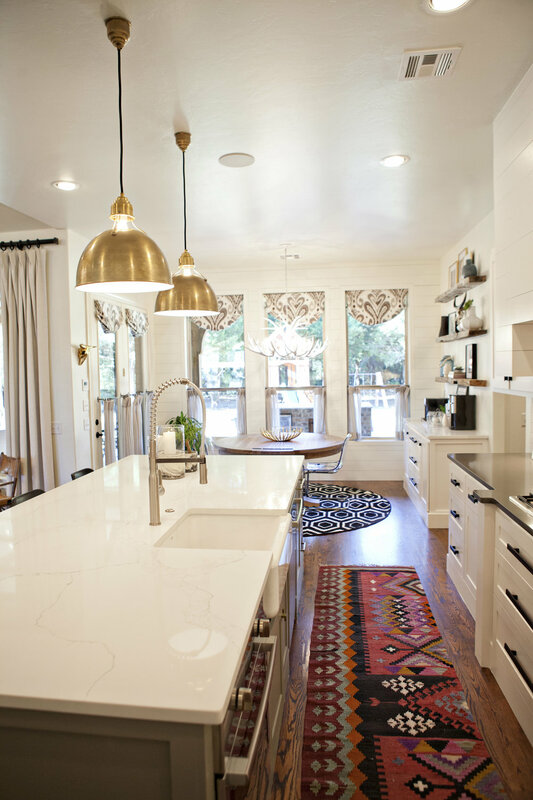 A classic white kitchen will never go out of style, however, over the years you can switch out light fixtures and accessories to update your space. The breakfast nook is a unique space, because our clients had a coffee bar built into the space (genius, I know). 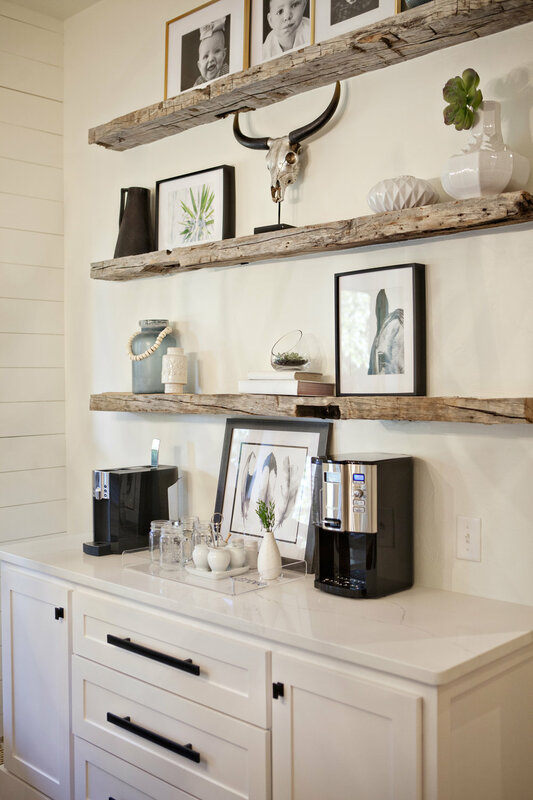 The coffee bar holds two coffee makers and has extensive storage underneath for coffee cups and entertaining essentials. 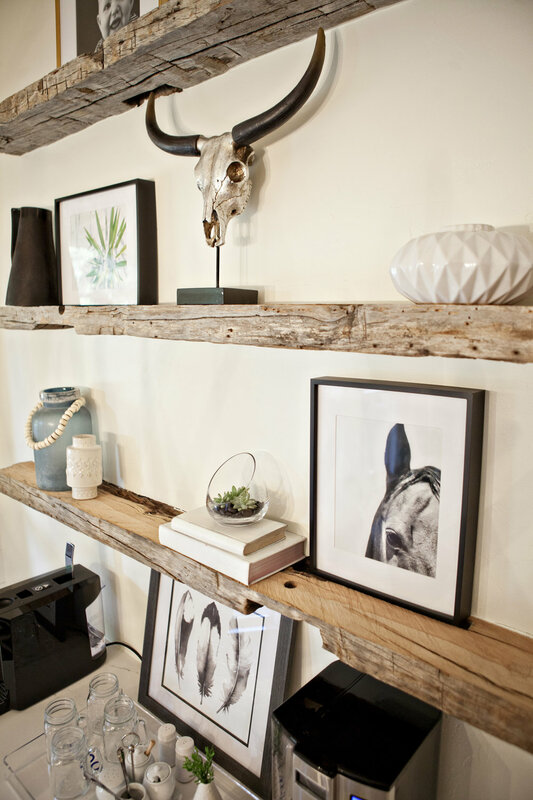 The open shelves above are antique railroad ties that bring in a fun element into the space. To keep with the eclectic feel, the room is anchored with the antler chandelier, that we had painted white. We added some boho accessories on the shelves and a pattern black and white rug under the table. I have to give a shout out to CC + Mike Creative, an Oklahoma company who sent me some amazing prints for the space in a short (less than two days). I love this print shop and the prints turned out fabulous in the space! 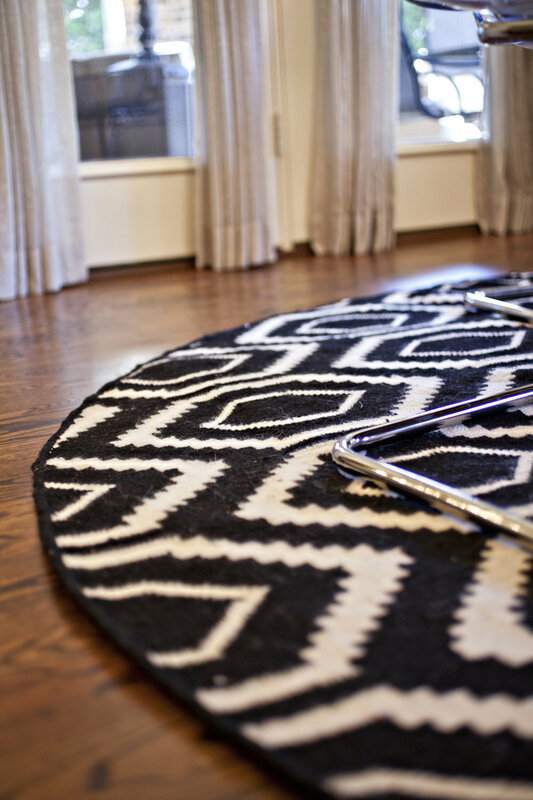 I love how this space came together, I think it has the perfect mix of boho chic and transitional design.